Heat oil in large skillet over medium heat until hot. Add garlic; cook and stir 1 minute. 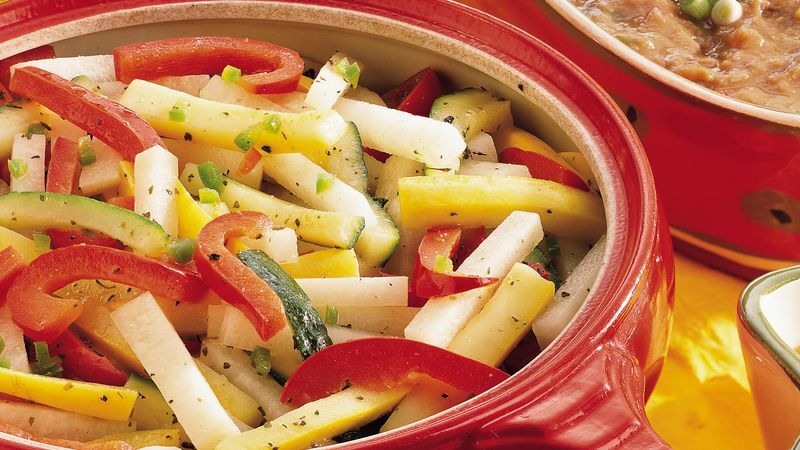 Add jicama and bell pepper; cook and stir 2 to 3 minutes or until crisp-tender. Add all remaining ingredients; mix well. Cook 3 to 5 minutes or until vegetables are tender, stirring frequently.